The Dolbeer spool donkey was was built in 1894 and owned by Chemainus Lumber Co. 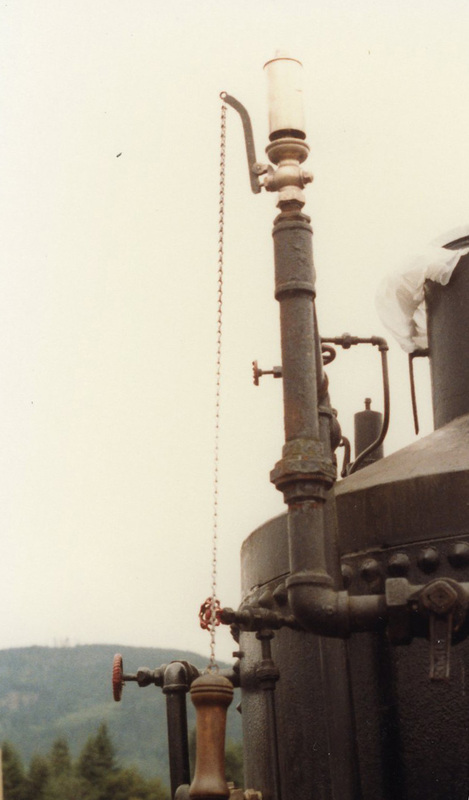 It was purchased from National Iron Works in San Francisco, California. Chemainus Lumber Co.used the steam donkey to replace bull teams in its Vancouver Island logging operations. 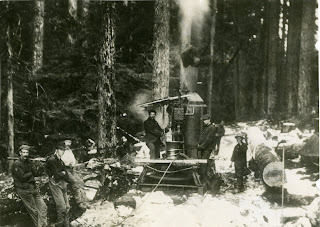 Steam donkeys yarded logs through the forest using a steam-powered winch and wire ropes, a system known as ground-lead logging. 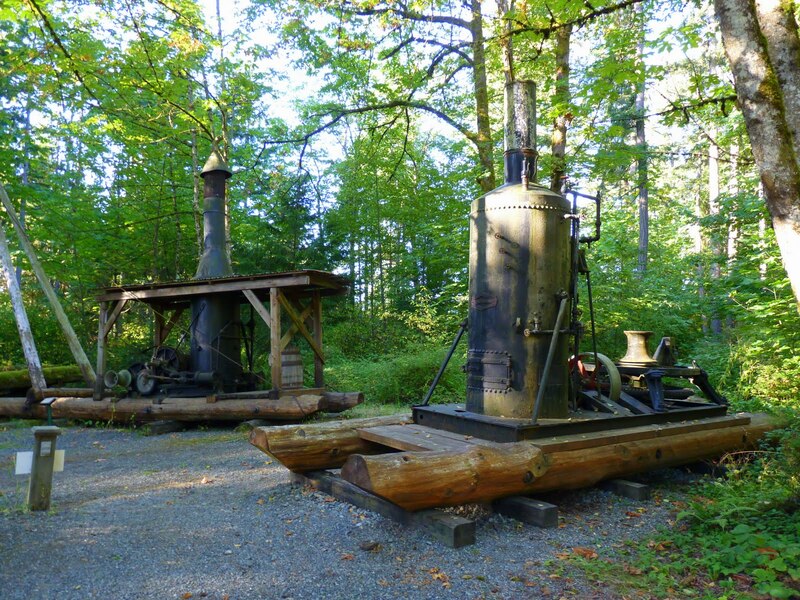 Nicknamed "Old Log Getter," this machine is believed to be the first steam donkey in British Columbia that was designed for logging. The .Dolbeer spool donkey was built in 1894 and owned by Chemainus Lumber Co.
Dolbeer spool donkeys were designed by John Dolbeer in 1882 to haul the large weight of Redwood trees in California. Dolbeer was an engineer and machinist before he became a lumberman and part owner of Dolbeer and Carson Lumber Co. in Eureka, California. Gerry Wellburn with the Donkey Engine c. 1962. 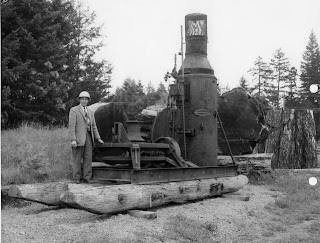 Gerry Wellburn, founder of the BC forest Discovery Centre, collected the Dolbeer steam donkey that was owned by Chemainus Lumber Co. and oversaw its restoration in 1961. Robert Sanderson, machinist and founder of Duncan Iron Works, was involved in the restoration project. Some of the replacement parts were manufactured by Fred L. Botsford in San Francisco and others were made locally. at the Chemainus Festival of Murals. 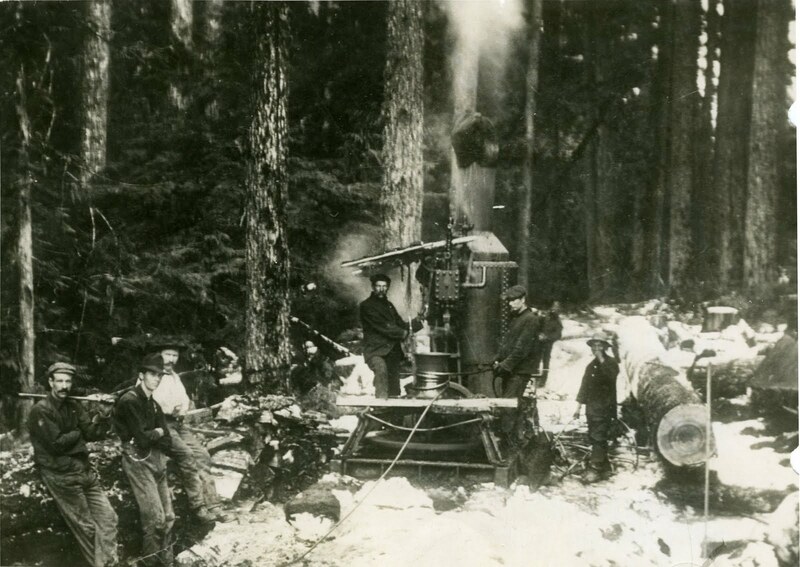 Whistles were used by the steam donkey crew to communicate with loggers that were off in the distance. The appropriate sequence of whistles let the loggers know when the steam donkey was ready to start moving logs. The whistle was operated by a whistle punk, usually the youngest or least experienced logger. 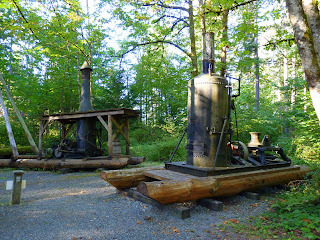 the BC Forest Discovery Centre in 2010. The engine is not operational but its wooden sled was restored in 2004.